The 30 in. pedestal is a powerful commercial grade solution for cooling including workshops, warehouses, garages and more. 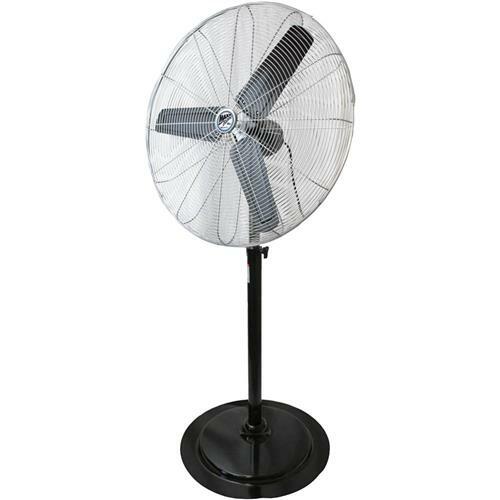 The fan uses a unique yoke style design allowing the fan to easily pivot which is very useful in a number of cooling situations. This fan features an all metal construction for the greatest durability in heavy duty applications. Adjustable fan height of 62" - 66.5"
Box Dimensions - 37" x 37" x 8"
Keeps my wood shop cooler in the summer heat. Moves a lot of air.